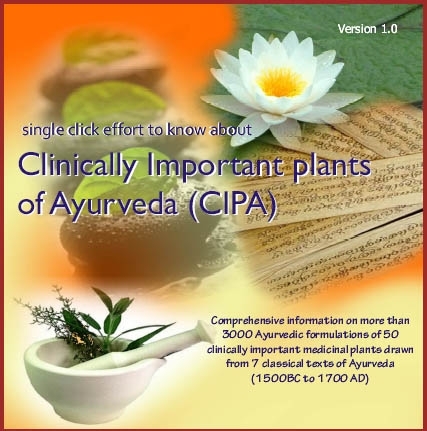 Clinically Important Plants of Ayurveda: This CD-ROM contains detailed information of 3500 pharmaceutical preparations for 200 indications. It has plant pictures, botanical and regional names, Sanskrit synonyms and its complete reference, plant properties and English meaning of all technical Sanskrit terms. This would be useful for pharmaceutical industries, ayurvedic practitioners and ayurvedic researchers. This product was added to our catalog on Monday, 06 August 2007.